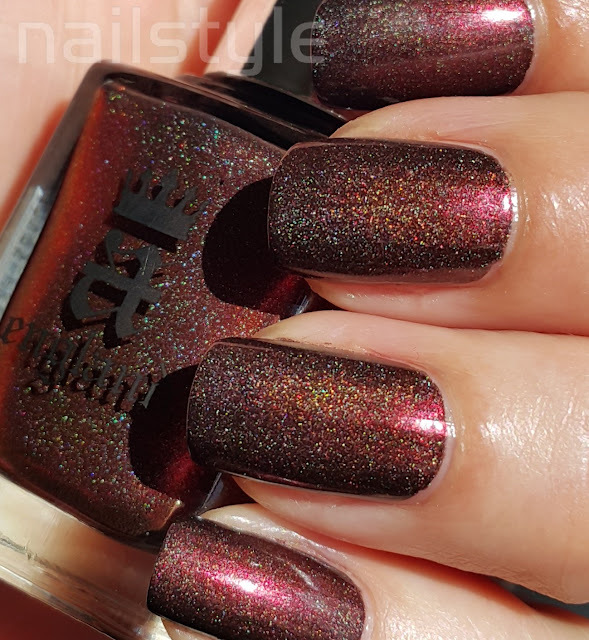 Oh my - this is simply gorgeous! 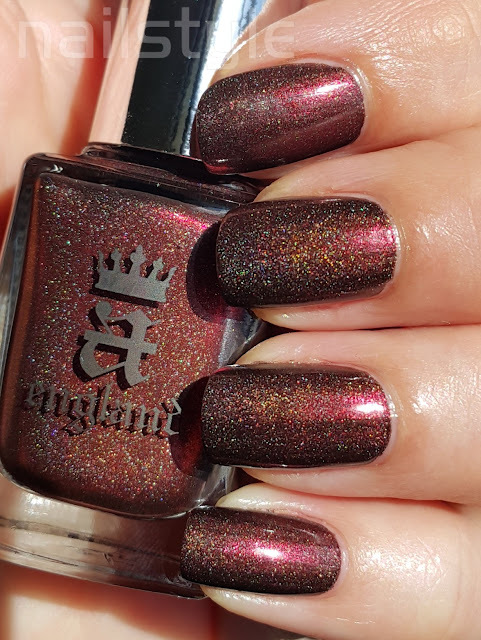 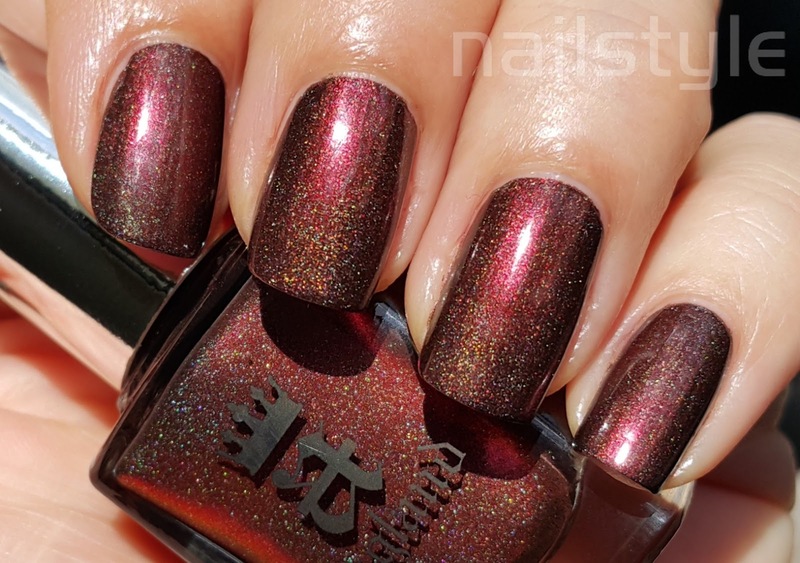 This is from the Burne-Jones Dream collection and A England describes it as burgundy base colour, filled with ultra-fine prismatic particles that reflect every facet of light. It's the perfect autumn/fall colour and I can't stop looking at it. 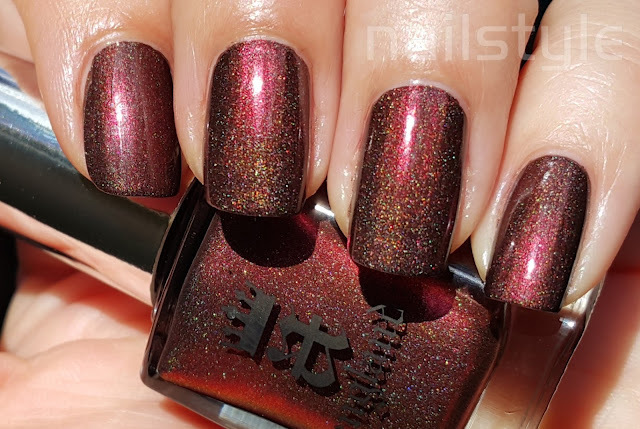 The formula is opaque in one coat but my swatches show two. 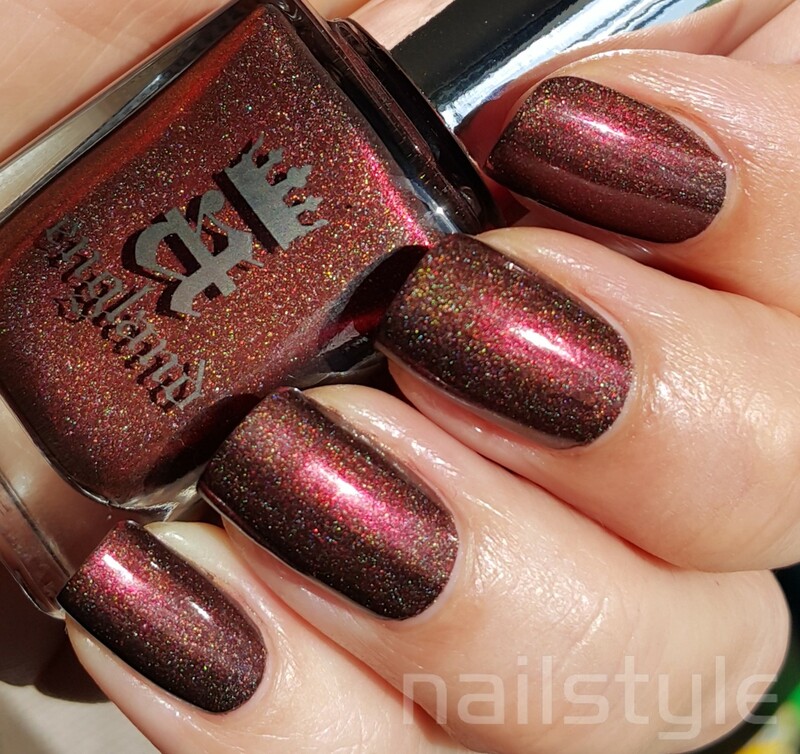 It is effortless to apply and dries quickly and is very holographic!